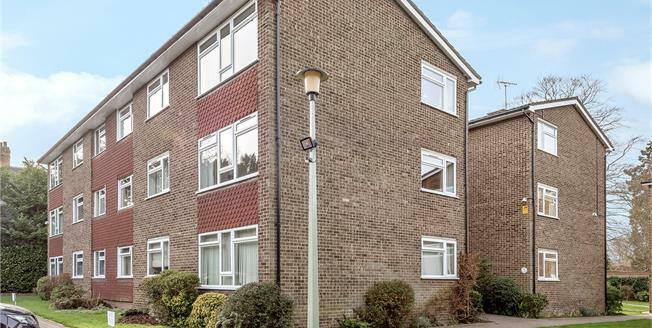 Located within close proximity of both Chislehurst High Street and Chislehurst mainline station is this immaculate two double bedroom, first floor apartment. The property is set behind electronic gates and offers ample parking along with a garage en bloc. The accommodation offers two double bedrooms, modern bathroom with separate walk-in shower, fitted kitchen and a large lounge/dining room. Other features to note is gas central heating, double glazing and a number of storage cupboards. The apartment also benefits from being westerly facing. Viewing essential. Please note: We are required under the Estate Agents Act 1979, and the provision of Information Regulations 1991, to point out that the client we are acting for on the sale of this property is a 'connected person' as defined by that Act.